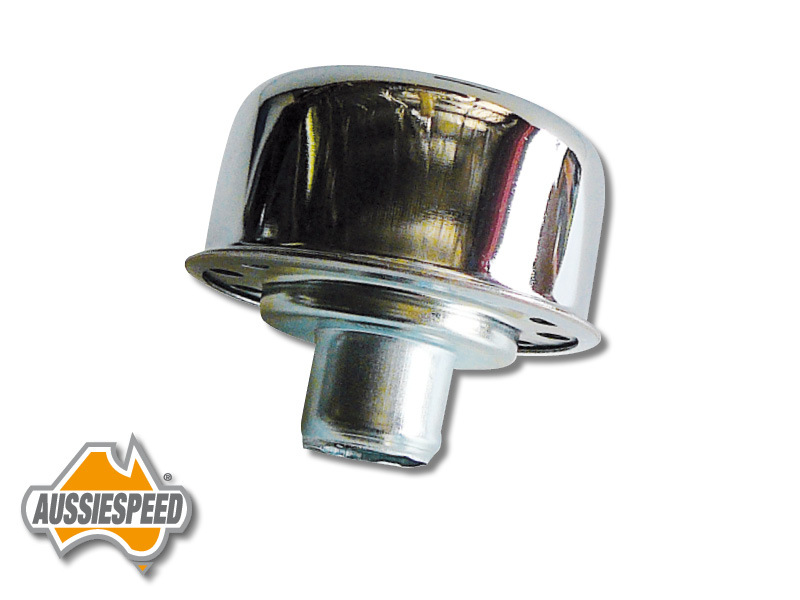 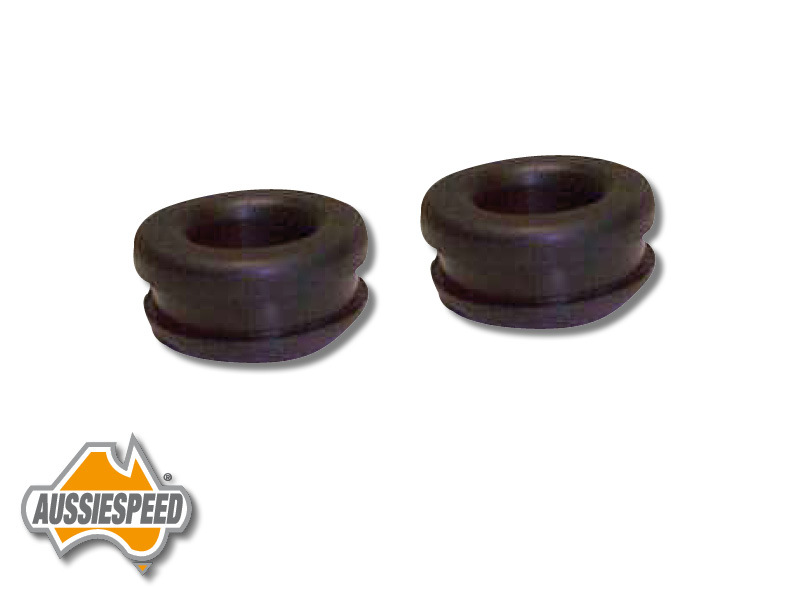 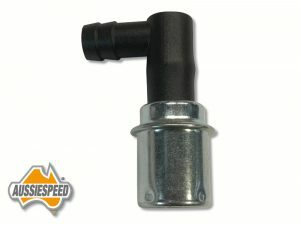 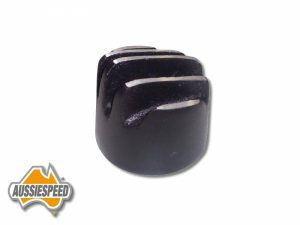 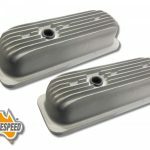 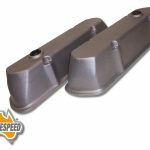 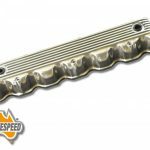 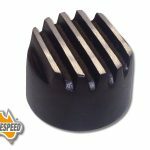 Big Finned powder coated black breather cap to suit Aussiespeed and other brand chrome tin and alloy rocker covers that use a push-in style cap. 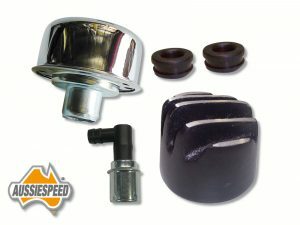 The caps are not Australian made and include grommets, cap, black finned alloy cap cover and SS507 right angle PCV valve. The breather neck size on the push-in tail is 1 inch.